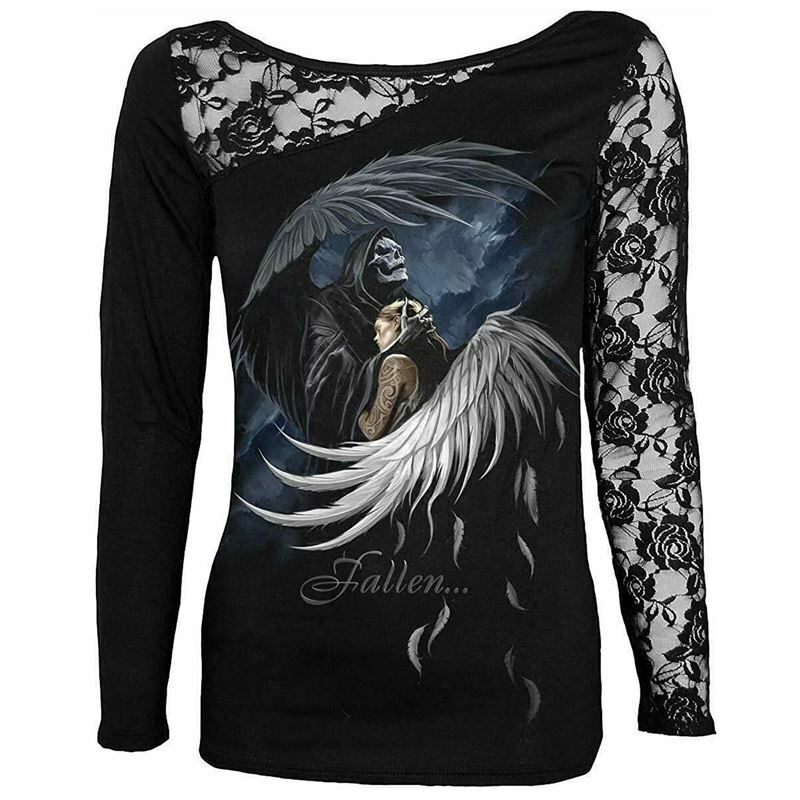 Lightweight synthetic stretch alternative top with printed image to front of forbidden love between an angel and demon and 'Fallen...' wording. Lace panel insert to one shoulder and sleeve plus down one side of top. Long sleeves. Boat style neckline. Plain back.